Graduating from “The X Factor”, One Direction later signed a contract with record companies owned by Simon Cowell, Syco Records and Columbia Records. Not long after, they released their debut album titled “Up All Night” (2011). The album successfully won various charts in England, Sweden and a number of other European countries with its flagship single “What Makes You Beautiful”. They won various international awards such as Best New Artist and Best Pop Video at MTV VMA 2012 and Global Success Awards at the 2013 BRIT Awards thanks to this album. Although originating from England, but their popularity turned out to also be in the United States. Thousands of fans packed the area of ​​”The Today Show” when they made their debut in the United States. This phenomenon triggered the term “British Invasion” in the United States which was once popularized by the Beatles. Their unusual popularity finally inspired to hold a concert titled “Up All Night” (2011). This concert starts from England then Australia and North America. Throughout the concert they sang flagship singles such as “Gotta to You”, “One Thing” and “More Than This”. One Direction re-released their second album titled “Take Me Home” (2012). Their main single titled “Live While We’re Young” has successfully won almost every country charts. The success of this album was also followed by the world concert tour “Take Me Home Tour (2013). The concert was held in England, Ireland, North America, Australia and always sold out. Their popularity even reaches Asian countries including Indonesia. Some One Direction fans in Indonesia often repeatedly ask their favorite boyband for concerts in Indonesia. Even the hastag #Indonesia Wants One Direction often sits in Trending Topic Indonesia. Not only that, One Direction also released a 3D concert film titled “One Direction: This Is Us”. This film tells the story of the life of the five members of One Direction from the beginning to success. Still in the same year, One Direction released their third album entitled “Midnight Memories”, November 23, 2013. They also held their third tour titled “Where We Are” which began in Colombia, April 25, 2014. One Direction once stumbled a little problem, April 2012. 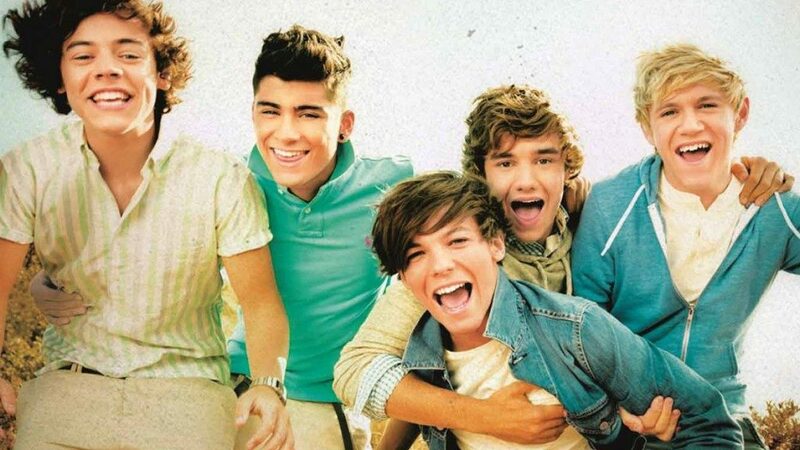 An Indie band from California named the same sued One Direction on charges of violating trademark rights. The band claimed that the name One Direction had been used since 2009 and had released two albums. The band then requested compensation from One Direction for USD 1 million. But in the end One Direction managed to win the lawsuit.